Your toes can finally be free again. During winter, getting a pedicure seems counterintuitive. What’s the point if no one gets to see your toes in all their painted glory?! Luckily, spring is *almost* here, and your feet will finally be free from the confines of snow boots, rain boots, and essentially any kind of boot. And even if you like to wear your Docs year-round like some of us, you’ll finally have the option to wear sandals. Alas, a choice! 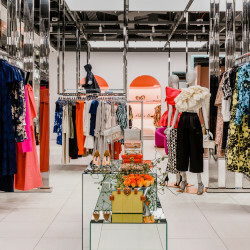 We’re not sure if you heard, but there was thunder and snow in NYC a few days ago, which means we’re looking forward to warmer days more than ever and online window shopping like crazy. Here are the 21 shoes we can’t stop thinking about for the much-anticipated spring season (and meteorological shift). 1. Dorateymur Lilac Suede Nizip II 60 Ankle Boots: This lilac makes me think of sunsets and cotton candy. It’s also going to be everywhere this season. The hardware gives it a little edge and is the easiest (and least painful) way to get two new piercings. 2. 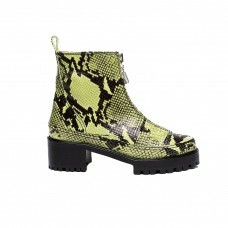 Nicole Saldana Chris Boot: I have lots of reptile-y things in my closet, and every time I tell myself I don’t need any more, I see something else I need, like these lime Nicole Saldana boots. I absolutely love the shape and think nothing looks better with floral, feminine spring clothing than a good pair of combat boots. Also, these are in a color that I don’t already have in my closet. Let’s just say Lizard Lady isn’t an insult anymore. 3. 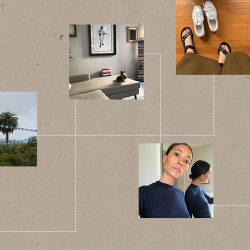 Jacques Les Sandales: I very much would love to live in the La Bomba Jacquemus video. I want to shimmy in backless black dresses, sit on a beach chair while a boy brings me beautiful bags dangling on a stick, and balance a glass of wine on my forehead as I overlook the horizon. It’ll also be great if this happened on an island in Spain. Since this scenario is very unlikely (except for maybe the shimmying), I’ll settle for this perfect pair of sandals with mismatched heels. They’ll help capture the mood I’m going for and are great for dancing while on vacation. 1. 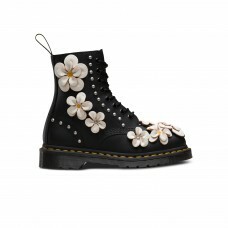 Dr. Marten 1460 Pascal Flower: Although I’ve normally been one to wear Dr. Martens in the winter as snow boots, I’ve been eyeing these ones ever since HYPEBEAST mentioned them. The street style set has proved season after season that these boots are not just exclusive to winter—you can wear them with dresses, high-waisted shorts, you name it. 2. Tibi Lia Slingback Pumps: Kitten heels are back! I’m excited to hop onto this trend this season, starting with these sling-backs. 3. 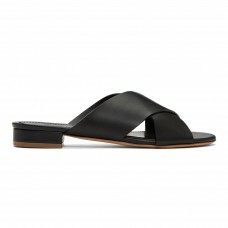 Ganni Olive Sandals: Each spring, I invest in one good pair of black sandals. These may just be the ones for this year! 1. 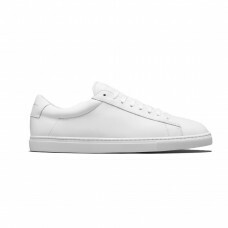 Oliver Cabell Low 1: White sneakers are a classic, but I’m very, very picky about the style. When I don’t feel like rocking my OG Nike Air Force 1s, I’m slipping on these white leather beauties from Oliver Cabell. They legit go with everything and are deliriously comfy. 2. Maryam Nassir Zadeh Sophie Sandals: I’d be embarrassed about the amount of MNZ boots and mules I have in my closet, but…sorry, not sorry. She makes a damn good shoe. So obsessed with this minimalist Sophie Sandal, and in my opinion, baby pink is a neutral and therefore a necessary part of my wardrobe. 3. Reike Nen Satin Slingback: I’m calling it now: This is *the* shoe shape for spring. Lady-like slingbacks are my new favorite thing to pair with wide-leg trousers or a beloved vintage jean, and I just can’t get enough of the aquamarine satin on this pair. Come be a part of my happy shoe family. 1. 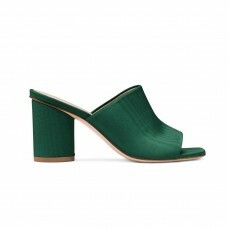 Loeffler Randall Lulu Mule: In a dream world, my closet would consist of one of every shoe that Loeffler Randall makes. But because this is reality, and I don’t even have a real closet in my NYC apartment, I’ll stick to just this pair of sparkly mules. They’re perfect to wear this spring with a wide-leg pant or a fun midi dress. 3. Mansur Gavriel Flat Crossover Sandals: No wardrobe is complete without a simple pair of slip-on sandals. Plus, Mansur Gavriel can really do no wrong. 1. 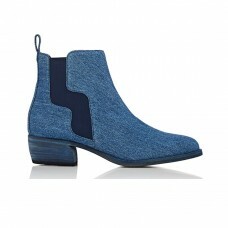 Pierre Hardy Denim Chelsea Boots: Definitely over the snow, but not quite ready to let go of boots. This Pierre Hardy denim pair serves as the perfect transition into sunnier days. Whether styled with a flowy dress or a full-on Canadian tuxedo, I am ready to wear these guys with just about anything! 2. J.Crew Sophia Mules: Pointy toe, kitten heel, and a bow—essentially the most ladylike combination, in my humble opinion. J.Crew fully delivers the ultimate mule, and I’m ready to whip these out on days where I need just a bit more drama to complete the look. 3. Acne Studios Jessie Sandal: I never had the chance to take the jelly sandals trend for a spin as a kid. Luckily Acne is giving me the chance this season to live out my childhood dreams. The leather details elevate the sandal and stay true to maintaining that adulting lifestyle, but real talk, am I really not a kid anymore?? 1. 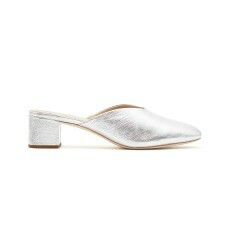 Yuul Yi Slingback Leather Pumps: I’m thinking of this as the white boot of spring. And that saffron heel will make a cool color combo with anything else I could wear. 2. Pierre Hardy Dani Strappy Suede Slide Sandal: Most of the summer I’m in a flat shoe. These colors make a fun statement out of what is otherwise a really practical sandal. 3. Stuart Weitzman The Slideon Sandal: This looks like a mule a girl could actually walk in, and this emerald green is so happy. My current style plan is all about unexpected color combos, and I think this shade will fit right in. 1. 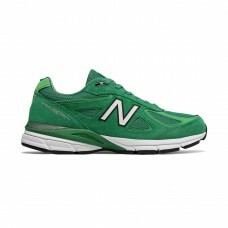 New Balance Green 990v4: I’ve never been attracted to a green pair of sneakers. I’ve also never owned a pair of New Balance. But now that I’m quite legitimately obsessed with these sneakers, all of that is about to change. Catch me running around in these all spring long. 3. 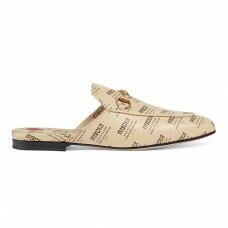 Gucci Princeton Leather Slippers: So into this version of the Gucci slipper. Come to Mama.